A unique wine tasting phenomenon is going on in the Temecula Valley Wine Country. While it’s not surprising that wine aficionados here get together and drink good wine, eat good food, and discuss what they’re eating and drinking, it is interesting that there are several organized groups that meet not just for socialization but for the specific purpose of tasting and reviewing wines from all over the country and the world. 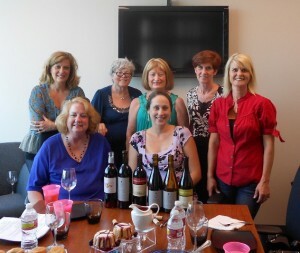 These groups are organized by experienced wine writer and enthusiast, Linda Kissam. 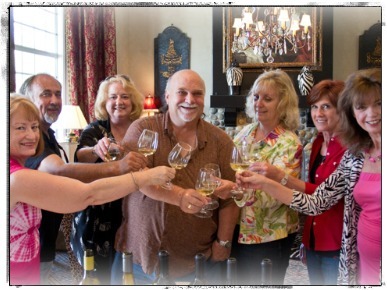 These tasting groups bring together wine writers, photographers and consumers for the purpose of describing their wine tasting experiences. Each participant also prepares a dish that can be paired with an assigned wine. 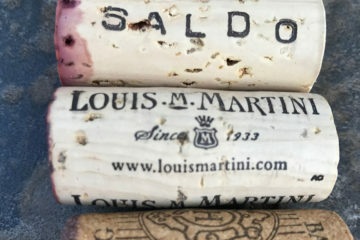 The groups are called the Men’s Wine Council, the Women’s Wine Council and, the newest group, the Occasional Wine Council, which includes both men and women. Why are there separate groups for men and women? 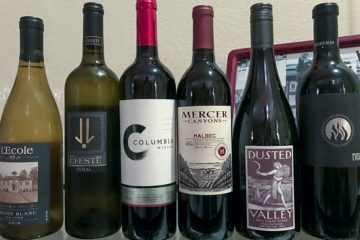 The reality is that men and women generally approach wine tasting differently. Both groups do an excellent job of completing the wine review task, but they do it in different ways. 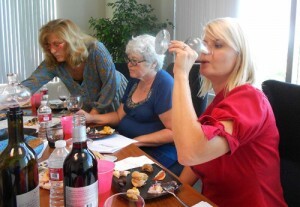 Linda Kissam says, “Women treat the tastings as more of a business casual event. 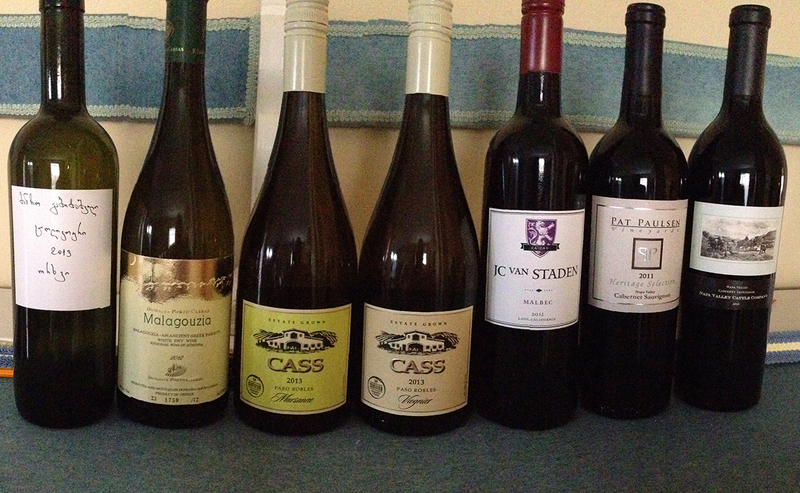 We tend to judge the wines on their merit and how and where they would fit into our own lifestyles. They get the business dressed up in a spirit of food, wine and friendship.” She also emphasizes that the women’s council members tend to be fearless in discovering new and exotic ways to pair the food and wine. I have seen these differences firsthand since I have gone to several Occasional Wine Council meetings where both men and women review wines. 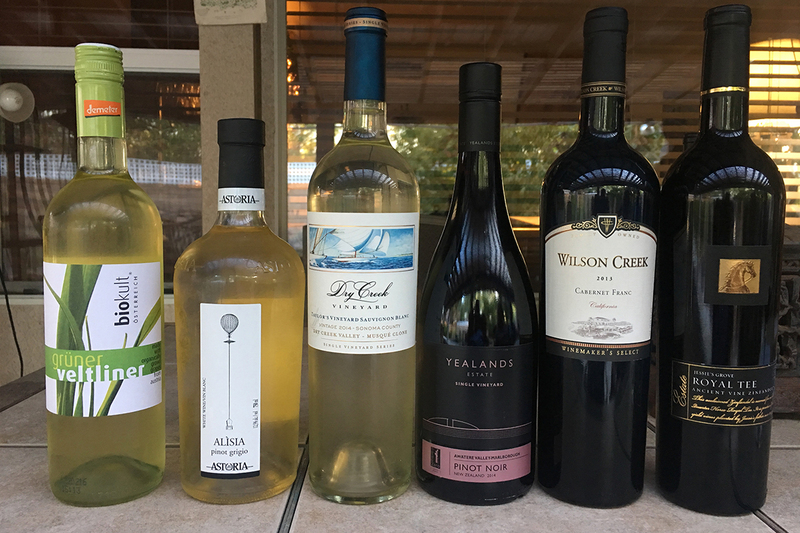 I was also recently a guest at the Women’s Wine Council where a variety of excellent wines were scrutinized along with some wonderful dishes. The camaraderie of the group was contagious, as the participants tasted, shared stories, and evaluated the wines and pairings. The women took their time in tasting and commenting on the wines being reviewed as well as enjoying experimenting with different food pairings. If this had been the Men’s Wine Council, the evening might have progressed more quickly, but the women certainly had fun while doing a great job of evaluating the wines. 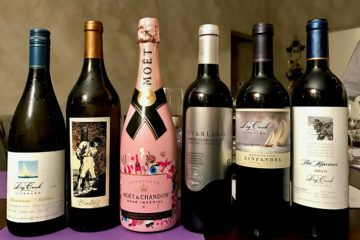 This wine tasting was enhanced by the use of the Wine Soirée, a wine aerator, which worked well with several of the reds we tasted. The Soirée fits directly into the wine bottle and aerates the wine as it is poured. It is a quick and effective substitute for the decanting process and works especially well with young wines. The dishes we enjoyed that night were prepared for specific wines, but many of them paired just as well, if not better, with some of the others. Here are some of the delicious dishes that accompanied the wines. • Toasted flatbread with prosciutto, gorgonzola cheese, fresh local blueberries, and a vegetarian version with almonds. • A rich cheesy reuben spread. 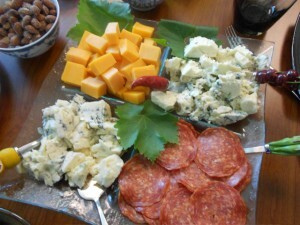 • A platter of sharp cheddar, gorgonzola, and Roquefort cheeses, and pepperoni, along with a spicy polish mustard. • Pork tenderloin sliders with an apricot, garlic sauce. • Cream cheese with a raspberry picante sauce. • Cheese and breadcrumb stuffed mushrooms. • A lemon genoise, which is a rich and delicate Italian sponge cake. 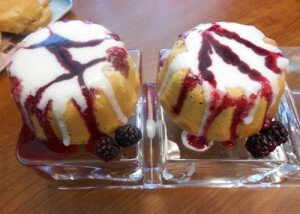 This evening’s cake had a white chocolate, yogurt filling with fresh blackberry sauce. • Pita bread with peach salsa flavored with cilantro and garlic. • A dessert platter with chocolates and cookies. I want to call particular attention to a special treat we tasted and really enjoyed: White Wine Bruschetta Bread Spread from Monks Meadow & Amelia’s, served on crostini. This is a mix that is folded into cream cheese, butter and wine (how could it not be delicious?). We learned that this easy-to-make spread can be served hot or cold on crackers or on a variety of breads. The mix is available for $5 at finer wine stores. A refreshing drink prepared by a participant was a lovely pomegranate, rose, decaffeinated iced tea that seemed to work surprisingly well as a palate cleanser between wines. I had never thought of serving iced tea with wine, but I will try this again when tasting a variety of wines. 2010 Shannon Ridge “Ranch Collection” Chardonnay. We loved this luscious, mellow chardonnay, which was the favorite of the evening’s wines and is only $19. It was smooth, well-balanced, only mildly oaky, and full of berry tastes. This wine was lovely by itself but was particularly well paired with the toasted flatbread with blueberries and also went well with the Gorgonzola, and the white wine spread on crackers. 2010 Napa Cellars Mount Vedeer Chardonnay. This was more oaky than the other chardonnay and had lemony overtones. It tasted better with food and went well with the quesadilla, the rich reuben spread, the white wine spread and the sharp cheddar dipped in mustard. Retail price: $30. 2009 Napa Cellars Dyer Vineyard Carneros Syrah. This very pleasant syrah featured a rich berry taste that went well with the pork sliders, the peach salsa, and also the blueberries in the quesadilla. It was also a nice match with the Roquefort cheese and pepperoni. We all agreed that the syrah was better after it was aerated. Retail price: $22. 2009 Lake County “Ranch Collection” Cabernet Sauvignon. One of the favorites of the evening, this deep red cab was full of tart berry tastes, with hints of smoke, cherry wood and vanilla. It went well with the sharp cheddar, mustard and nuts but was especially enhanced by the chocolate and the desserts, particularly the genoise with its sweet lemon flavors. We agreed that this was an excellent buy for the quality at $19. Quady Winery Elysium. This is a sweet dessert wine with low alcohol and strong floral scents on the nose. It tastes of lavender, rose and orange with hints of muscat. One taster was reminded of cherry soda. Not surprisingly, those who liked sweet wines appreciated this wine the most and it did go very well with the genoise’s blackberry sauce and the chocolates. Retail price: $21. 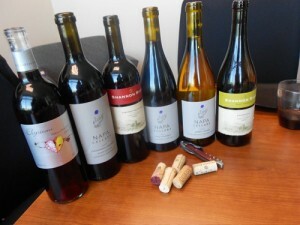 It was a friendly relaxing time tasting such good wines with good friends. I could tell these women really enjoyed each other and respected each other’s opinions even though they didn’t always completely agree. Everyone’s preferences and palates are different. I was reminded that wine tasting is always a subjective experience with no “rights” and “wrongs.” That’s what makes wine tasting fun.